The Disney Park Blog shared this recipe from the upcoming 2013 Epcot International Food and Wine Festival cookbook. Guests will be able to enjoy this light dish at the Australia Marketplace. It's perfect for a hot summer day! Season shrimp with salt, pepper, and chili powder. Heat olive oil and sun-dried tomato oil in a large saute pan over medium heat. Add shrimp and cook for about 2 minutes, tossing once or twice. 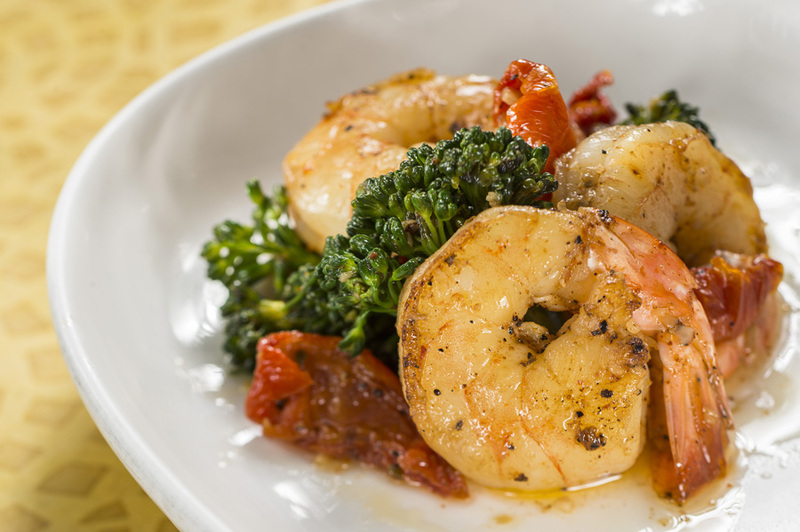 Add garlic, tomatoes, and broccoli rabe; cook another 2 to 3 minutes, tossing once or twice. Remove from heat and stir in lemon juice and zest. Season to taste with salt and pepper. Cook’s notes: The “16/20” refers to the size of the shrimp, meaning 16 to 20 per pound.